When you click to Add Email Template, you see a page of the existing templates. If you wanted to use the old “Classic” Editor, you had to scroll past all of the templates and click the link at the bottom of the page. We’ve made this easier. The new text at the top of the page will be: Start by Selecting a Sample Below or Advanced Editor (Blank) or Basic Editor (Blank). We’ve renamed the Classic Editor to the Basic Editor (it is not going anywhere) and we’ve made it a button choice a the top of the page. The option still exists at the bottom of the page too for those that like to scroll. Click the column headers to sort the main To-Do List by that column. Use this to group like To-Do’s, group To-Do’s by Contact, group To-Do’s by Priority or Due Date and more. Your users are going to find this super helpful! We’ve add the option of triggering an Action Set (Workflow) with the Completion Assistant. This lets you trigger even more options than before. In your Contact List, you can now choose if you want to view 20, 40, 60, 80 or 100 Contacts at a time. This is helpful for people that would rather scroll on one page than click to view page by page. We’ve added the phone number to the Birthday and Anniversary Report. You can now use that Report to reach out and call your contacts for their special day. The Duplicate Contact Report now offers a report of duplicate contacts within multiple databases. The Account Owner and/or Account Administrators will now be able to pull up this report to search within All Databases for duplicates. Instead of just triggering an Autoresponder, your Text-to-Join now offers the option of triggering an Action Set (Workflow). Users can now set their accounts to auto-download Social Connector photos. Turn on this option by clicking the Customize This Screen on the bottom of a Contact Card. Once this option is on, when a Social Connector match is found, the photo is added to the contact photo. You can still use your own photos, or choose a different Social Connector photo. Uploading an attachment with the same file name as an existing file will overwrite the existing file. We have added the option to change the file name of a saved Contact Attachment. Click the pencil to edit the name. Check out the new Mobile Version. Here is an overview of what will be included in the new mobile version and also the things you will want to update and customize. In your Admin Panel, go to the Content Tab and select Branding. Update your logo on your sign in page. Upload your preferred Favicon. There are tools here to generate a Favicon if needed. Update the Icon that is used when people save your mobile site. Used in the Browser Title, system emails and other places. These are used in the Display and also in the saved name. Totally customize your Mobile Version. This works with the new mobile version that will be coming in 2019. We’ve made it much easier for you to pay each month. We now offer the option of auto-paying your invoices with us. In your invoice look for the “Terms” and learn the details of how to set up auto-pay. 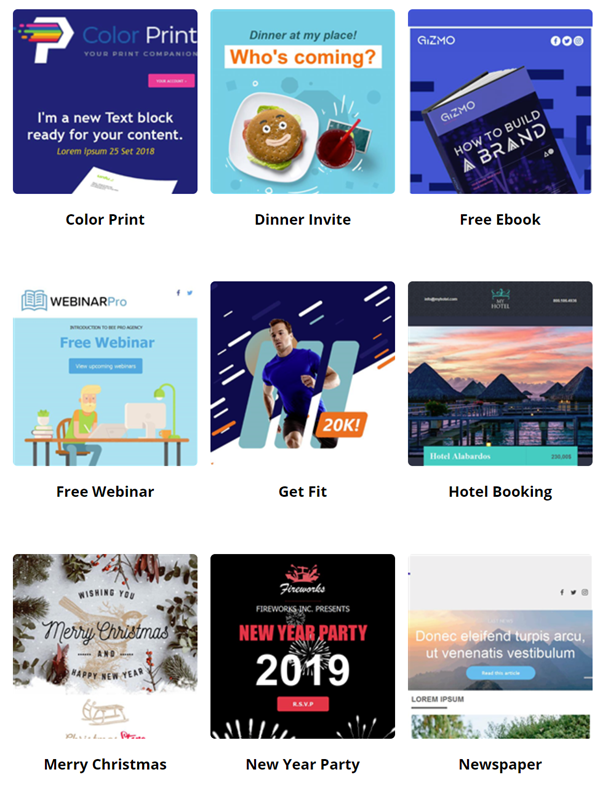 We’ve added 9 new Email Templates for you to add to your system. Get the instructions on how to download the XML file to import to your accounts here: Email Templates. We’ve included Holiday designs so you will want to do this soon! If you are not yet using the new Content Designer, email support to get set up today. We’ve added tracking for changes to a password for both the account owner and team user to the Account Log Report. You may now add or edit a value in the Custom Fields with your Action Set. This works with the check boxes, the drop downs and also the text fields. Search for contacts that do not have an open To-Do. This will help you keep track of any contacts that may have fallen through the cracks and need some follow up. 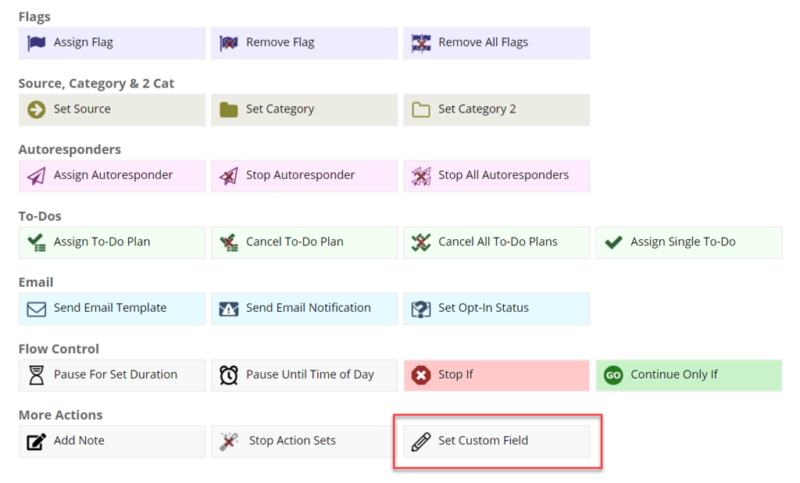 As you know, you can create Custom Action Set Items for your users. There is now an option for a user input parameter. Check out how it works on our Developer Blog. We’ve added an admin tool for you to clear the Bounces on a client’s account. This will be used when there is an issue with the from address that causes bounces that are not bounces because of a true issue with the contact email. You will find this in your Admin Panel when you click on the user account. You can now search for contacts that have Open To-Do’s, Complete To-Do’s, Open or Completed To-Do’s or have no To-Do’s. If you are using our Email Info Center on your Home Screen, when there are Spam Complaints, you can now click to see who complained and when they complained. We’ve added 3 new features that will help you manage your opt-ins. This is an Extra Field you can add to a Landing Page. It must be checked before your prospect can click the Submit. Each user can add their own text (unlimited). You can search your opt-ins by the type of consent. When you want to confirm a contact wants to continue to receive information from you, use our Mail Merge Field Opt-In Confirmation Link.